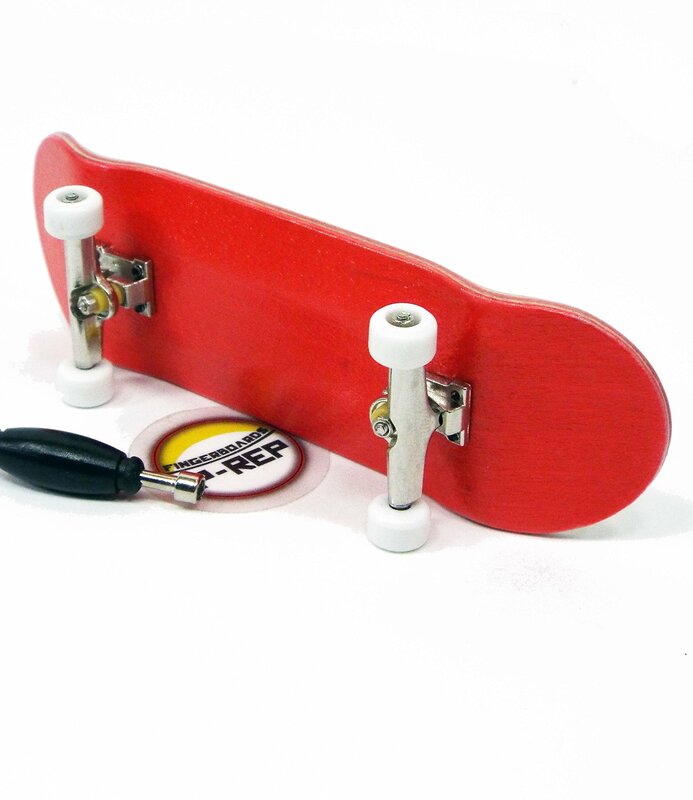 Home › Toys › P-Rep Red Complete Wooden Fingerboard With Basic Bearing Wheels - Starter Edi..
P-Rep Red Complete Wooden Fingerboard With Basic Bearing Wheels - Starter Edi.. The Peoples Republic Fingerboards (P-REP) Complete is UNASSEMBLED and includesa standard style tool for easy assembly. Broken Knuckle fingerboardsintroduced the Peoples Republic Fingerboards line to provide an inexpensivealternative to our high-performance line of fingerboards. We believe everyoneshould have access to try and have quality wooden fingerboards without havingto pay a lot. These decks are well made and are a great introduction to woodendecks and fingerboarding. We provide the best prices for ALL levels offingerboarding gear. The Peoples Republic Fingerboards (P-REP) Complete issold exclusively by Broken Knuckle fingerboards.